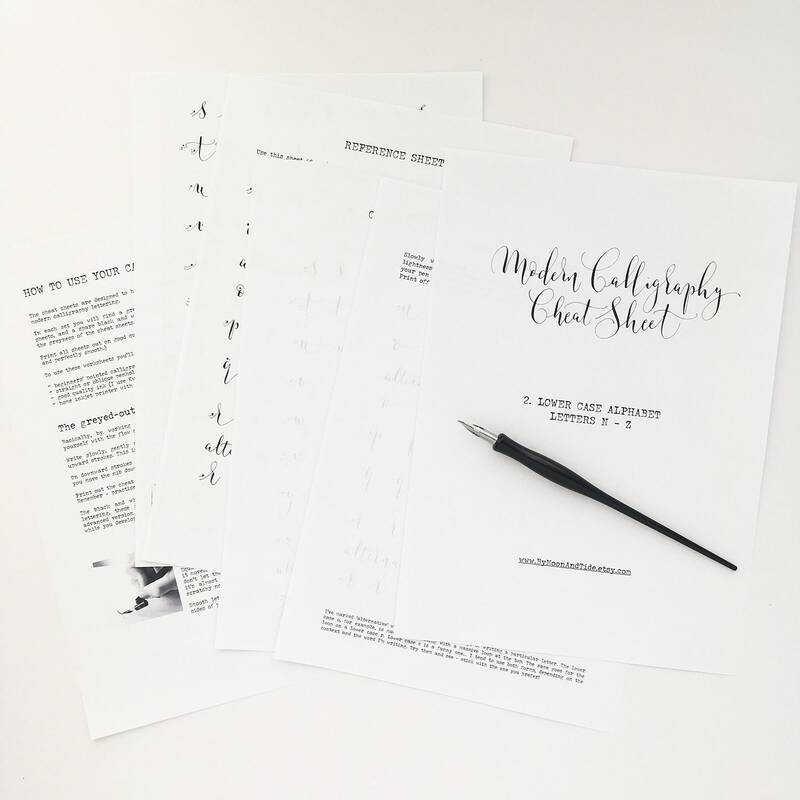 Teach yourself modern calligraphy RIGHT NOW with my series of instant downloadable CHEAT SHEETS. Learning calligraphy is trickier than it looks, and I’ve learned from experience with my students that a little bit of cheating can go a really long way… it’s all about feeling the rhythm of the letters as you write. 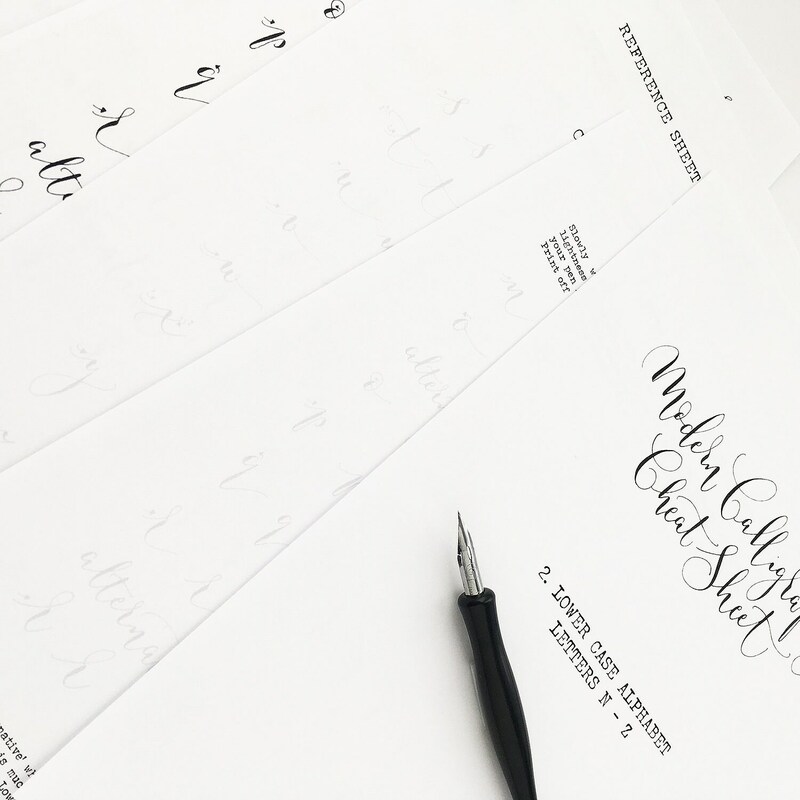 8 short & sweet calligraphy lessons will take you through the basic steps of modern calligraphy at a very affordable price - less than a glass of prosecco! Hell, probably less than a glass of lemonade!!! What are you waiting for? Print out as many copies of the worksheets as you need. Take your time, learn to love your calligraphy pen… and you’re onto a winner. I’ve been a full time calligrapher since 2005. I’ve taught hundreds of absolute beginners to develop their own beautiful modern lettering style. Now it’s your turn! When you complete your purchase, you’ll receive a message from Etsy with a link to DOWNLOAD your cheat sheets. You won’t receive anything physical in the post. The download is a PDF file. To read it you MUST have a pdf reader installed on your computer - I recommend Adobe Reader, it’s free! For personal use only! Print as many cheat sheets as you need for your own personal use but please be aware they must not be resold, copied, shared online or published. Due to the nature of instant downloadable products, refunds will not be given after purchase. 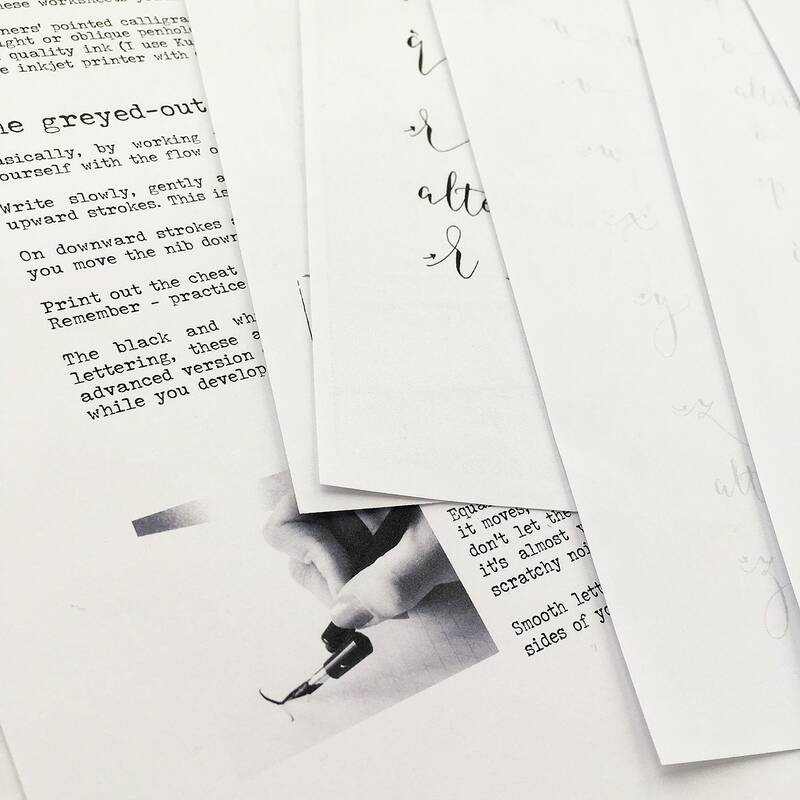 To complete the cheat sheet you will need a calligraphy pen and nib (I recommend a Nikko G nib, but any flexible, pointed calligraphy nib will do), ink and decent printer paper - and a printer!